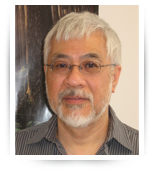 Roger Chan received his graduate training in East Asian history, including Modern China, Late Imperial China, Modern Japan, and Western Legal history. Before becoming a clinical instructor at Washington State University, Chan taught courses on East Asian Civilizations, Japanese Civilization, and Modern China and Japan. Prior to coming to Pullman, he taught at three other schools, including Oregon State University, Washington and Lee University, and Whitman College. See Roger Chan’s most recent Roots of Contemporary Issues syllabus.